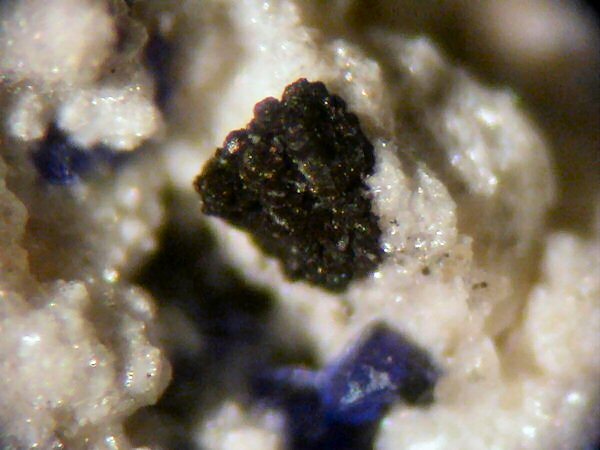 Comments: Black kusachiite with blue henmilite. Location: Fuka, Bicchu-cho, Okayama Prefecture, Japan. Scale: Picture Size 0.5 mm.